When you're looking for reliable satellite reception, you're really looking for a dish that will pick up a signal and stick with it while your program airs in Manchester. As the satellite travels overhead, a static dish will gradually lose touch with the signal. Motorised dishes get around this problem by moving as the satellite moves. A motorised satellite dish is able to move left and right, east and west. When you select a channel to view, your satellite receiver sends a signal to the dish, which then begins to search. Once the signal is detected, the dish locks in on your selected channel. The dish then moves west or east as your program airs, travelling with the satellite as it moves across the sky. 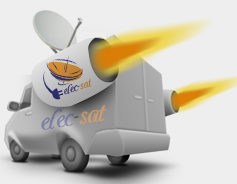 There are all sorts of reasons to consider a motorised satellite dish installation for your Manchester home by a qualify engineer from elec-sat Installation. Many satellite viewers love the immediacy that satellite television brings – sports lovers, in particular, are quick to take advantage of the benefits of live broadcast games. Other satellite viewers are intrigued by the range of channels on offer, which exceeds even the Freeview network. Still others want to explore the educational opportunities broadcasts from European satellites offer. While digital television has improved the range of options that are available from regular television, there's still nothing that can beat satellite for a good range of viewing. 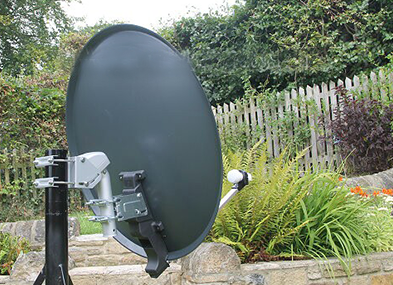 When you install a motorised satellite dish with elec-sat Installation, you are able to access not only hundreds of UK and European free channels, but also have the option to join subscription channels. With so much going on in satellite TV, it's hard to say no. Just give elec-satInstallation a call.